It has been a very long time since I last read a Terry Brooks novel but, as was the case with Raymond E. Feist bringing his Riftwar Cycle to a close, the prospect of seeing Shannara come to an end brought me back. The Black Elfstone feels very much like a return to form for Brooks, despite it's disappointing page count and its unprecedented weight of darkness. It's a broad-sweeping epic fantasy, with multiple stories intertwined, a dire threat to the Druids, and a seemingly unstoppable force marching upon The Four Lands. Everything and everyone here are in conflict, ranging from the intimate (between individuals) to the massive (between races). The only problem is, with such a short novel to kick-off the series, it isn't always clear how or why those conflicts are relevant. For instance, the whole storyline with Tarsha Kaynin' brother is a bit muddled, although I suspect his magical madness is establishing him as a foil for his sister somewhere down the line. The characters are reasonably strong and interesting, something Brooks has always excelled at, but their motivations are somewhat suspect. For instance, Drisker Arc is an ex-Druid who evokes memories of Allanon, complete with his estrangement from Paranor, but his willingness to trust in old foes is foolish. Similarly. Dar Leah is a swashbuckling sort of hero, at the forefront of the action throughout the book, but it seems like he can't decide on when to take a stand - and it costs him. Finally, Tarsha Kaynin may be one of the strongest female characters Brooks has written, but even she can't decide between loyalties and impulsive frustration. What ultimately redeems all of those flaws, however, is the finale. 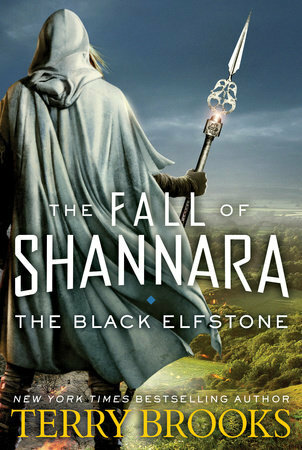 The Black Elfstone has a big climax, and pays off beautifully.